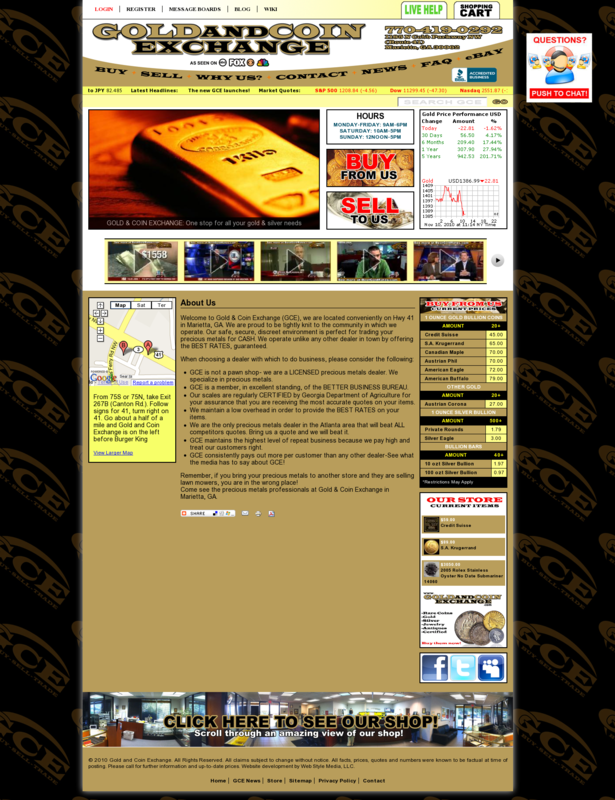 Gold & Coin Exchange is perfect for trading precious metals for CASH. It operate unlike any other dealer by offering the BEST RATES, guaranteed. It also sell precious metals for your future investment. Website was developed by Web Style Media, LLC using Drupal 6 as main platform. Website also has a powerful online store managed by Ubercart system.